PowerMAG LAB 100 belongs to the top-class in TMS stimulators. It is able to generate pulse bursts up to 100Hz with constant intensities by recharging between pulsing. 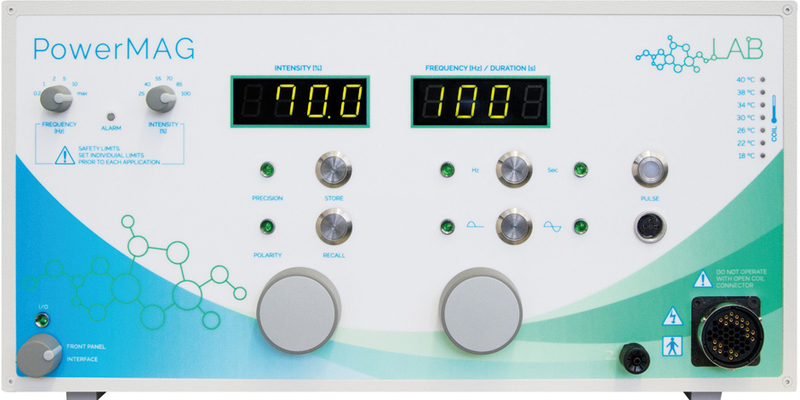 Impressive maximum pulse frequency of 100Hz bursts at 70% intensity makes this device a perfect choice for using Theta-Burst-Protocols as iTBS, imTBS or cTBS.